We’re looking forward to welcoming Peter Casey to the club on Monday night…. All are welcome. This workshop is ideally aimed at coaches working with 9-12-year-olds (the ‘demo’ squad will be Moorefield u11s), but very relevant for all juvenile coaches. 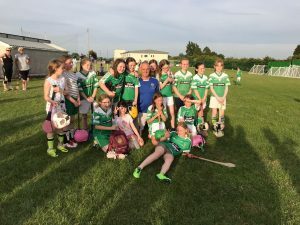 It details the key techniques, coaching points, games and exercises to be used with this age group as outlined in the Camogie and Hurling Player Pathways. We explore gameplay, including basic game understanding and look at considerations and challenges of early game awareness. This free workshop will be led by Clare GAA Games Development Officer and Expert Tutor, Peter Casey.